You’ve dealt with painful and unexpected things too, right? Whether it’s a diagnosis, a hard death, a dreadful divorce, a disability, a series of difficult trials, you name it, we can all cast our two cents into the jar of suffering. This transaction can lead us to feelings of anxiety, uncertainty, and depression, and often result in questioning our core beliefs about life and God. 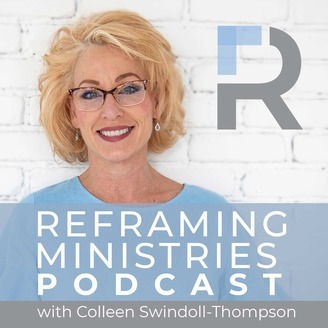 Colleen Swindoll-Thompson, daughter of well-loved pastor Chuck Swindoll and director of Insight for Living’s Reframing Ministries, helps us navigate these life-changing experiences with healing, hope, and humor. During each monthly podcast, Colleen unearths the unexpected experiences and legitimate advice of authors, leaders, and world influencers who share their raw and real stories of hitting the bottom of life’s bedrock. Join us and learn how to reframe your circumstances and renew life’s purpose while walking through challenges that are painful and unexpected. Kelli Anderson knows what it is like to live with the gift of Autism. She has been doubly blessed with two sons on the spectrum. 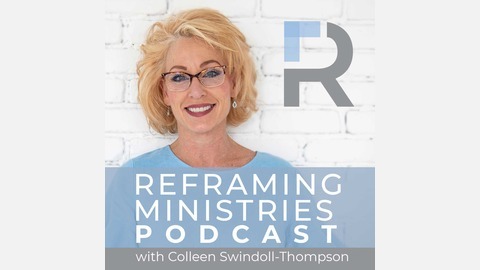 As this month of Autism Awareness begins, listen in as Colleen and Kelli discuss what it is like to live real life with Autism: the parenting surprises, marriage struggles, and challenging lessons learned while on a church missions trip with the youth group. Join us as we take a glimpse into life on the spectrum. Connect with Kelli Anderson and the Life on the Spectrum Book page on Facebook. Purchase Life on the Spectrum – Faith. Hope. Love. Autism. Read more about Kelli Anderson and purchase her first book, Divine Duct Tape. Listen to Jeremy Camp’s song Let It Fade, quoted by Colleen, on YouTube or Spotify.